On the song Magic by Uk artist Mac Murray opens with a hooky guitar lick and just like that you find yourself falling headfirst into the energy. You cannot underestimate a good guitar lick, I guess it is the glue that holds Magic together but the entire song demands attention. There is a passionate fury to it, from the screaming guitar leads, bass and drum attack and Murray's wailing vocals. 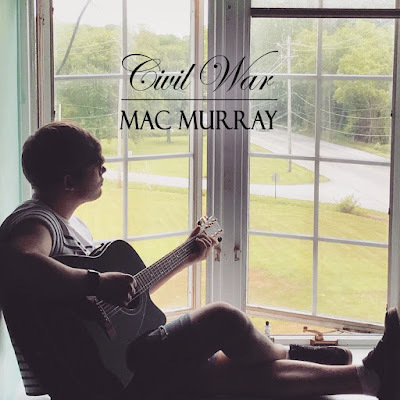 On his latest EP "Civil War" (crafted after the birth of his first son) explores going solo after being in bands in the local music scene of the shipbuilding town of Barrow-in-Furness since his teenage years. On this project Murray worked with recording engineer, producer and co-writer Jamie Bragg and drummer James Carling.